She is my dream doll! 🙂 gorgy! The Pretty Pink girl we’ve been waiting for! Oh!!! This one….this is what I’ve been wishing for 🙂 🙂 And my first time ever doing this…. Curly hair like my precious girl…but PINK! Love her! Pink, Pink, PINK!! Love her! She is beautiful for my beautiful bronte! A angel for a angel..
Yay for pink with blue eyes! We would love this sweetie! 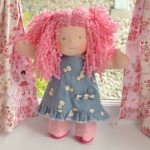 We would love this pinkie girl! Oh goodness she is a beauty!! She looks like a sweetheart. My daughter would be thrilled to have her. My daughter would LOVE her. 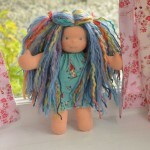 Quite certain she has my daughter’s dream hair (for herself and for a doll)! A blue eyes pink boucle is my dream! Angel is an Angel!….In Total Love with an Angel! Love the pink hair. She would be great for my grand-daughter! She makes my heart go pitter pat! She has the perfect name..my DGD would love her. How angelic Angel is! Love everything about her! <3 Angel is so sweet. my daughter is in love with the pinkies! What a cute pink gal! ANGEL is my name! 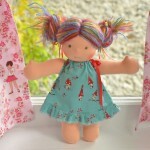 We are on the hunt for our first BOUNCLE doll and she would be PERFECT! She shares my name and is an ANGEL! 🙂 Please enter us for her new forever home! thanks much! I would love to have her! She is beautiful! I would treasure her..Thanks for giving me a chance to have her as my very own. She’s perfect! She’s a mini version of my daughter’s 15inch! Oh, the likelihood of my comment being picked is slim to none with all the people who will enter for this beauty, but this girl’s massive amounts of hair make me hopeful. DD would be THRILLED to have her! What a fun name, too! Such a sweet little one! Wow!!!! She is so beautiful, we would love her here!!! OMG I love her hair!!! She is petite perfection! <3 her! SOOOOOO in love with this spunky little girl! She is so cute! Please enter us to purchase her! Would love to bring this girl to TX. Love all the shades of blue! She is perfect! We would looove her. We would love to have her! would love her to be our first LB! Wow, she is the perfect doll for our family!!!! We love her to death. Shes my favorite LB ever! OMG my favorite LB ever! Would be so over the moon to have her in our family! Would love a chance to welcome her to our family! We would love aqua to come live with us! What a beauty! I just love her hair!! Too Sweet! I lubb her!! Would love our first little buddy! She’s stunning! There are a couple of little girls in our house who would love her. Love her wavy hair and fairy bits!! She is incredible! My dd’s favorite color is blue, and we would love to give her a home. She is an amazing doll, how we would love to give her a forever home. My girls would really love her! She would have a happy home with us! She is really sweet. First time ever liking a rainbow doll. I love her so much! I would be thrilled to be chosen. I never get picked for anything, LOL. So it would be truly Serendipitous. No way!!! She is breathtaking!! My son would adore her! Thank you for the chance. This is the most gorgeous doll ever…I would love her so much! Amazing, such long and pretty hair! Would LOVE to have this beauty! Love her oodles of hair!!! Stunning! I love her hair and eyes – such a lovely combo! Soooo pretty! Here’s to hoping! Thank you so much. Good luck everyone! love your little buddies! she is sweet. Still waiting for our FIRST bamboletta!! That hair is out of control gorgeous! Love her! What a beauty! My daughter’s favorite colour and her birthday is coming up. Fingers crossed! Would love her to be our first LB!!! We’d love to give her a new home. Look at her f’ing hair! Me please!!! we would love to adopt this little cutie! One of the prettiest dolls I have ever seen!!! Amazing hair! We love her! Aqua has the most beautiful hair! Thanks for the chance. What a beauty, would LOVE to cuddle her here. We would love to have a LB, definitely this precious girl! Pretty! Like a little Rapunzel. We need some itty bitty goodness in our house. What a cute little doll! She would be my first Little Buddy!! Thanks for the chance! Oh be still my heart. She is the most gorgeous LB. I would LOVE her to be my first. Oh, please please please! I’ve never won or caught a doll and she is perfect!! Wow! Her hair is fantastic! She’s a twin to our 15″! She is little buddy perfection! She is amazing – love her! We love the blue and rainbow hair combination at our house! We would love her forever! Thanks! She is gorgeous! I would love for her to come live with us! luv the doll..just the right size for a toddler. She is AMAZING!!!! i love all that hair!!! We would love to have Aqua here with us! We’d love this baby at our house! She is the most PERFECT LB ever!! Love her!!!! Really need a lb. We LOVE her. It would be a dream come true to be able to get her. She is perfectly lovely in every way! Thanks for offering her as a Serendipity! Enter us! she is truly AMAZING!!! thanks! How awesome is that hair? Yes, yes, a thousand times yes please! Would love to win her! We would love to have this Little Buddy join our home. She can come live with us! <3 her mini messy buns! What a gorgeous girl! She looks like a shy one. 😀 Thank you for posting serendipities this week! It is my only shot (like many others who would be happy to win!) of snagging a direct from Bamboletta Little Buddy. Oh my! She is beautiful! She will be loved here! Oh she is just so so cute! We’d love her! Please enter us for a chance to purchase her! How adorable! This will be an awesome PT-ing present for my older DD! I am so hopeful to win this for my DD!! Adorable! Thanks for the chance! My DD is having surgery at the end of July and I would love to be able to give her Prism when she wakes up 🙂 Fingers crossed!! Prism says she wants to come live at our house! aaawwwww!!! Oh My Goodness!!! SO SO SO SO Amazingly adorable! She looks like a sweet little girl. How is she so cute! We would love her to be our first little buddy!! She’s gorgeous! We’d give her a happy home. Prism has the sweetest face ever. And that hair, oh my! Love! oh, we would love to have this little lady come to live with us! Love this tiny rainbow beauty! Love her green eyes! She’d be perfect for us. Would love you to live with us ‘Prism’! Love her tiny little self! We would love to give Prism a special forever home full of play! The elusive little buddy… Beautiful. She’s adorable! My 2 yr old would love her. We absolutely love the rainbows!! This one is incredibly sweet! Love, love, love her!!!!! They keep getting better and better! It would be so totally awesome to get chosen. I love this little doll, and it would make me ecstatic to have the chance to add her to my family. Each one gets cuter and cuter! Wow! Prism is absolutely beautiful!! Love her, she is amazing! would love to give her a forever home! The luck of the rainbow! She’s a magic, wee thing. A perfect name for a girl with prismatic hair. She’s pretty! quite possibly the most adorable LB i ever saw! Fingers crossed for her for sure! oooh another pretty rainbow. we’d love her! Thank you. Good luck everyone! Would love her to be our first Bambo! Wow. She is so adorable. We would love a chance at bringing home our first little buddy! Oh to only be so lucky to purchase this beauty! She is gorgeous! Our fave this week :). Rainbow & little buddy? It doesn’t get any better! Me me me! Pick me! She is my favorite of the bunch. So sweet. Shut up! How cute is she? We want her!! Wow what a perfect rainbow lb! love her head tilt — she could be a demo doll for all the little torticollis babies i see! So adorable and looks like she needs a hug! Oh Little One….How Pretty you are! An elusive lb and I have her big sister! please come to Switzerland and join us! fingers crossed – she is inquisitive and ready to play with my four kids. She is amazing. Thankyou for the chance! Would love to get the chance for this cutie!! She is AMAZING! Prism and rainbow.. they go so well together. Would love to have her. We would love to win her! A Little Buddy would be awesome…especially this one!! Thanks for the chance!!! Ohhhh..I so want a LB, and she would be amazing to have. Oh Prism! Are you mine? Hope she can join us! She is so sweet – love her tiny mouth! My daughter would be so happy! She is precious! Love the name too! She is so cute! Thanks for the chance! I have the perfect little girl for this perfect LB! Thanks! DD will be a big sister soon. Makes sense for her 15″ doll to have a baby sister too. my little girls fave color!! RAINBOW!! She has such a lovely expression on her face. What a lovely doll – so sweet! She is the cutest little rainbow ever! We’d love to give her a home! please pick me! we would love to welcome her to our home! wow a true beauty, love her name Prism!!! Please enter us! thanks! So cute! My Little Buddies need some boots! So cute:) We would love these! How nice. Would love some pink booties. Our LB would love these! I would love to win!! Thank you for the chance! These are so cute! I love pink! Our baby needs some booties! These are so cute! Thanks for the chance! These are so tiny and cute! Oh, cute!! Claire needs these! These are so ca-ute, we would love them. Would LOVE these! Missed out yesterday. Thank you! Love these! Thanks for doing the giveaways! Would love a pair of boots for our shoeless LB! Thanks! All little babies need shoes! Another give away how AWSOME ! We likeeee for sure!! Thanks for the chance. Would really love to get a pair of boots for one of our girls! xoxo Thanks for the chance. And we say it again. We love shoes! And so doe our dolls. So … We’d love to win these lovely pink boots! Love! my little buddy needs some shoes!! so cute! Every girl needs a pair of pink boots!!! would love these gorgeous pink booties for my new LB! Aww! 😉 Enter us, please! So cute, would love to have these for my LB! thanks for these fun giveaways! 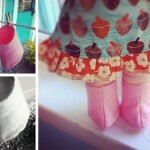 Yay -would love some LB booties! I love to skirt, OMG!! Sure cute. Thanks for the chance. Very cute, love the pink. Thanks for the chance. Man I would love these! We would love these! Our LB needs some cute new shoes! 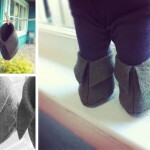 Would love lb pink booties!! Cute! So cute!! Thank you for the chance to win! Our Nina NEEDS these!! Thanks for the chance! Who doesn’t need a new pair of shoes every now and then? We do! Pretty please. Would love to win. Thank you!! so cute, thanks for the chance. Love your dolls! Yes please…our LB boy would LOVE some boots!! He has nothing for his cute feet!! So cute! They would be adorable on our LB boy! Oh I love these! Thanks for the chance to win them!! You ladies are amazing. Love LB shoes and boots! Would love the chance to get a pair of boots for our LB! Thanks. These would look so cute on our little guy! Cuter than cute! Is it wrong to start collecting boy clothes before we even get our little buddy??? Our little man needs some shoes. Thanks! So cute! We would just need a boy little buddy for them to go along with…exactly what I’m in search of for my son! As always, thanks for all your giveaways and generosity. hope the right person wins! Our wonderful little buddy boy Petey would look so sweet in these! Our little guy would love these! Thank you for offering these little booties. They are so cute. Those are so awesomely cute!! B o o t i e s! These would look cute our our lb!!! © 2019 Bamboletta Blog|ProPhoto theme by NetRivet, Inc.